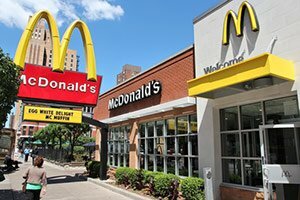 The Dow Jones today projected a 122-point gain in pre-market trading after McDonald's Corp. (NYSE: MCD) reported very strong quarterly earnings. 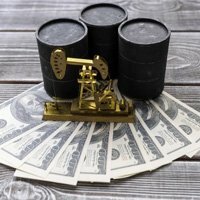 This morning, the firm reported earnings per share of $1.79, a figure that topped analyst estimates by $0.12. Revenue did decline by 9% year over year, but the $5.14 billion reported still bested Wall Street expectations of $4.98 billion. McDonald's leads a busy day of earnings reports, as markets continue to cheer the best quarterly performance for the S&P 500 in seven years. Everyone wants a getaway vacation house of their own. But cracking the multimillion-dollar code needed to live the life that you've always wanted is a hard lesson to learn. Until now… America's No. 1 Pattern Trader, Tom Gentile, gives you the tools that will make that dream house a reality. All you need to do is learn one of the market's most important trading secrets. Over the weekend, South Korea and North Korea held talks that opened the possibility of a formal end of the Korean War. North Korea will be shifting its time zone 30 minutes to align with South Korea, a first step toward an end to the hostilities of the last half century and the potential for a denuclearized region. Eurasia Group founder Ian Bremmer said U.S. President Donald Trump, South Korean President Moon Jae In, and North Korean leader Kim Jong Un would receive "his vote" for the Nobel Peace Prize if a peace deal is achieved. That sentiment was also shared by U.S. Sen. Lindsay Graham (R-SC) over the weekend, although he also cautioned that more developments would be required. In deal news, T-Mobile Inc. (NYSE: TMUS) has announced plans to merge with Spring Corp. (NYSE: S) in a $26 billion deal that will combine the third- and fourth-largest mobile carriers in the United States. The firms believe that they will receive regulatory approval after several years of rumors that the two companies would merge. The companies claim that the deal will create a few thousand jobs and give the United States a competitive advantage over Chinese mobile operators. Critics, however, warn that the deal will drive up consumer prices and make the market even less competitive. The price of Bitcoin hovered near $9,500 on Sunday evening. Bitcoin is up more than 50% from its multi-month low, as markets continue to see a huge inflow of capital from institutional investors and retail buyers after tax season ended. Last Wednesday, Roughly $670 million in contracts were exchanged on the markets. CME said that roughly 11,000 contracts (worth 56,100 BTC) were traded on April 25. Futures trading is up 44% in April compared to trading in March. Here are the other top cryptocurrency stories in the markets today, and – of course – how you can profit from them. Shareholders of AK Steel Holding Corp. (NYSE: AKS) will be looking for a strong earnings report for the first quarter. The steelmaker will likely speak to the recent steel tariffs slapped on international competitors. In addition, markets will be looking for a positive bump from the recent tax reform law. Netflix Inc. (Nasdaq: NFLX) is getting some attention this morning after the host of one of its upcoming original programs generated controversy in Washington, D.C. Comedian Michelle Wolf hosted the White House Correspondents' Dinner on Saturday, and many of her jokes about President Trump and Press Secretary Sarah Huckabee Sanders were not well received. It was the second year in a row that Trump did not attend the event. Wolf is an alum of "The Daily Show" and "Late Night with Seth Meyers." Her new show will premiere on Netfix in late May. Look for earnings reports from Arconic Inc. (NYSE: ARNC), Transocean Ltd. (NYSE: RIG), Akamai Technologies Inc. (Nasdaq: AKAM), Allergan Plc. (NYSE: AGN), Texas Roadhouse Inc. (Nasdaq: TXRH), and Diamond Offshore Drilling Inc. (NYSE: DO).